The episode opens with Hurley speeding in his Camaro, trying to escape the police. When they apprehend him, he shouts out that he’s one of the “Oceanic Six.” Apparently, this is another flash-forward and we can assume that Hurley also made it off the island. We next see Hurley talking to a police detective (Mike) who mentions that coincidentally, he knew Ana Lucia who was on the doomed Oceanic flight. Mike then asks Hurley if he remembers her from the plane or before it took off—as opposed to the island. Does this suggest that the Oceanic Six somehow went into a time warp and were rescued shortly after the crash, and never mentioned that they were stranded on the island? Did they claim to be the only survivors? Perhaps. If not, wouldn’t everyone wonder what they were all doing for three months? Regardless, Hurley denies knowing her. The detective also references Hurley as being part of the Oceanic Six. Based on this conversation, it would seem as though the six returning survivors became something of celebrities upon returning from the island. While this fact would be a pretty big wrinkle in “The Myth of Lost” simulation theory, let’s remember that this is Hurley’s flash-forward, and nothing may be as it seems since it’s all coming from his warped mind. Case in point, upon leaving Hurley alone in the interrogation room, Hurley has a delusion that the one-way mirror is actually a giant aquarium. He then sees someone swimming around it who presses through the glass, sending water rushing into the room and causing Hurley to begin yelling like a madman to be let out. The detective quickly returns and threatens locking Hurley back up in an institution to which he readily agrees. So the question becomes, what part of this flash-forward is real and what isn’t? It’s impossible to say. But obviously, nothing that happens can be used definitively to prove or contradict anything being that Hurley is apparently, once again, mad. For this reason, it’s entirely possible that his entire meeting with the detective is just in his head. In the next flash-forward scene, we see Hurley back in the Santa Rosa institution when a man claiming to be an attorney for Oceanic Airlines comes to meet with him. Hurley soon begins to get suspicious of him and asks the man to see his card. The man claims to have left it at home. He then asks Hurley if they are still alive—perhaps referring to either the remaining Oceanic survivors, or his team who he sent to the island. Hurley now realizes that the man isn’t who he claims and begins to yell for assistance about someone wanting to kill him. So, even within the seemingly sane parts of Hurley’s flash-forward, things are not as they seem. Oceanic Airlines may not really be a legitimate airline after all, or, others may be posing as working with them, casting doubt on what, if anything, about the airline is real. Flash-forward to Hurley sitting outdoors at the institution when a fellow patient tells him that he should watch out because someone is staring at him. That person turns out to be Charlie. Is it another hallucination? Perhaps, but by showing that someone else can also see him (while admittedly also being crazy) seems to suggest that Charlie is probably really there. Just as with Jack’s father, by using the perspective of crazy characters the show wisely disguises whether or not these dead characters are actually alive, as the simulation theory would suggest. Charlie begins talking to Hurley and we find out that he was the one who caused Hurley to go into a tailspin when he saw him in a convenience store. He was also the one swimming around in Hurley’s vision in the interrogation room. 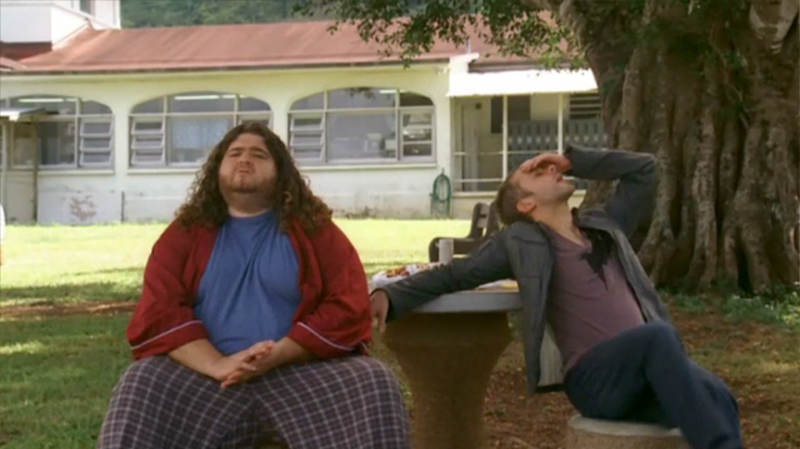 Charlie tells Hurley that he’s dead, but he’s really there, and slaps him to prove it. And judging by his rock-star threads and expensive haircut, we are led to believe that he’s once again doing well, also as the simulation theory would suggest since he’s successfully completed the treatment and overcome his demons. 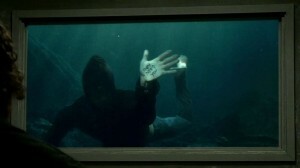 The last thing Charlie says before vanishing is that “they need you,” which was written on his hand when he appeared underwater in Hurley’s vision. Later, we see Hurley taking basketball shots in the mental institution’s gym when we see Jack come to visit him. They both discuss becoming celebrities after returning home, but since this is coming from the perspective of the survivors themselves, we can’t know for sure if it’s really happened, or if it’s still all part of the simulation program. Foreshadowing Jack’s statement to Kate which apparently takes place after this scene, Hurley tells him that he thinks they made a mistake by leaving, and that the island wants them to go back, insinuating that they will be haunted until they do. This makes perfect sense according to the simulation theory since they are still not cured. 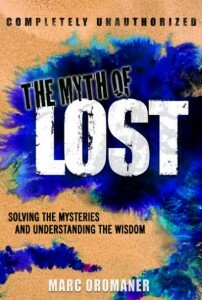 Just as predicted in The Myth of Lost, not all of the castaways have made it off the island—at least not this time. Apparently, there are only six, and my guess is that all of them will need to go back if they want to be cured. This is likely why whoever Jack went to visit in the funeral parlor had killed themselves. I’m leaning towards Michael, because he also left without being cured, was originally from New York and had a teenaged son as mentioned in the obituary. In a coming flash-forward, something tells me that Michael and Jack will speak and Michael will tell him that he knows how to return to the island, explaining why Jack is so upset when he found out he died. Even if Jack and the others really are back in the real world, it’s possible that they had been in a simulation but got out without ever realizing that they had been there. There is another possibility, and that is that the Oceanic Six have never really left the simulation program at all, and are still stuck inside of it. In The Myth of Lost, I wrote that the ship may sink and Jack, Kate, etc might end up in some kind of hospital bed. But what if they haven’t woken up yet? Jack, Kate, Hurley and the rest of the Oceanic 6 may have been rendered unconscious by trying to escape on the ship that sunk in the simulation program. They were knocked offline so to speak, with their minds all stuck in the system, leaving them all in comas in the real world. This is why Charlie, who is now out of the program, reentered it—to convince Hurley to return to the island! The hope is that by getting them back to the island, they will be connected back online in the program. Assuming, or course, they can get back to the correct sequence in the program, i.e., the correct timeline. Based on this episode, it would seem that Oceanic Airlines may be a real company—but possibly not a real airline. Perhaps they are a front for the simulation and passengers really do board a plane only to be drugged as Juliet had been and then hooked up to the simulation. They probably even set up the PR event that claimed that the Oceanic 6 had returned, not wanting the world to know the truth. I believe that at least Jack and Kate will make it back to the island, and they will likely spend the rest of their days there, becoming the skeletons that were found when the series began. If the island turns out to be more of some kind of time rift, then it would seem that Jack and Kate have to return to set it straight and that’s why everything will go wrong for them in the outside world. They need to die on the island. This is similar to the movie, Donnie Darko. In that film, Donnie escapes the death he’s supposed to undergo, setting his timeline into disarray until he does, in fact, die. While anything is possible, I still think the simulation theory is a more interesting solution to the series, and less complicated than time-rifts and alternate dimensions. As far as what happened on the island during the episode, most of it did not add to the mythology of the show. Perhaps the only scene that did was when Hurley stumbled upon Jacob’s house, or rather, it stumbled upon him. 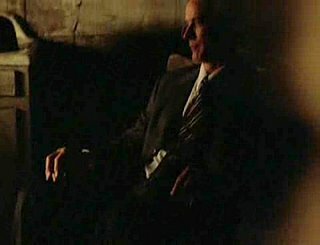 Upon looking inside, he saw a man rocking in a chair who appeared to look like Christian Shephard, and then another face (Jacob?) startlingly popped into the scene causing Hurley to once again flee and start screaming. Despite running in the opposite direction, the house once again appears before him, and this time, the door creaks open, inviting him in. As with what happens off the island, we don’t know if this double cabin is real, or just in Hurley’s crazy mind. Either way, before Hurley can take the cabin’s residents up on their invitation, he then bumps into Locke. They decide to join forces to tell everyone else to hide from the approaching ship. So what is this scene about? Is Jack’s dad and Jacob in cahoots? Perhaps, like Jacob, Jack’s father is also stuck half-way between the simulation and the real world. Until we’re led to believe otherwise, that’s my feeling for now. So, that was the episode. During the premiere of Eli Stone, which followed, there was a commercial for Oceanic Airlines advertising their Golden Pass. Suddenly, the broadcast is overtaken by someone claiming that they are liars and that flight 815 was found. I’m going to continue with the stance I take in my book which is that there’s no way of knowing if the LOST content that doesn’t air during an episode is actually part of the official storyline. I just pass it off as another red herring.